Within our top stream; 98% of all pupils achieved 5 or more A*-C grades at GCSE and 92% achieved 5 or more A*-C grades including English and Maths. 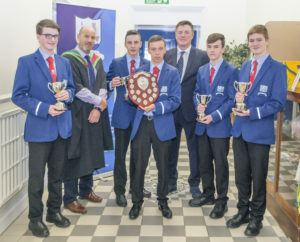 When we look the results for the whole year group, which includes a wide range of ability, 89% of the year achieved 5 or more GCSE grades at A*-C which compares very favourably with similar all-ability schools in Northern Ireland. 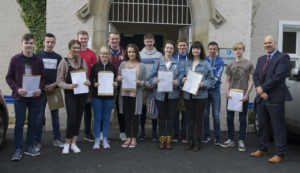 At A level our students achieved a 98% pass rate and 34% achieved grades in the A*-B grade range. It is pleasing that these results have again allowed the majority of our sixth formers to progress to their chosen University courses and career paths. These results reflect the hard work of our pupils and highlight the dedication and support provided by our staff. 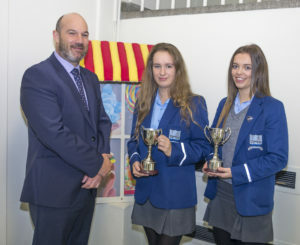 We are proud of the diversity of our pupils and recognise that whilst not every pupil can achieve A* grades during their exams, our ethos ensures that every pupil can and does improve on their previous scores and we are extremely proud of every pupil who did improve. It might have been 5 C grades or 7-10 B grades what matters most to us is that it was the very best they could possibly attain; so well done to all of them. 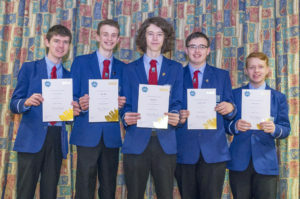 Regardless of the statistics and the league tables, which continue to ignore that fact that we are a unique grammar school that has pupils with a wide range of ability. They do not measure value added or reflect the vast amount of support which is provided by staff; however, the most important outcome is that all the pupils who did their best, whatever the result, deserve our praise and we will continue to focus on every pupil as an individual. I hope that this information has given you an insight of the great work that is going on daily within our school and will enable you to make a more informed choice when it comes to selecting the right school for your child. If you would like to arrange to come and see around for yourself, please feel free to contact the school office.